In a precedent post we talked about the fact that since very remote times wine consumption has always been accompanied by music. Since the times of the ancient Thracians and Greeks with the Dionisos rituals through the bacchanalia of the Romans, the feasts of the medieval nobility ending with the nowadays celebrations, music and wine have always gone hand in hand. If we go deeper in this argument, we will notice that it is not simply a ” good match” but that there is a deeper connection between these two worlds. The connection between music and wine starts actually even before the wine itself exits as a product- there are scientific researches that demonstrate that musical frequencies have a positive impact on the health of the vines. For example the University of Florence and especially the LINV ( International Laboratory for Vegetale Neurobiology guided by Professor Stefano Mancuso – www.linv.org), conduces since few years a very interesting experiment in a winery in Montalcino ( Siena, Italy). The experiment consists in putting installations in the vineyards transmitting classical music, Mozart in particular. The results are remarkable: the plants are healthier and more resistant, the grapes are richer in substances ( antocians and poliphenols). But let’s go beyond the ” scientific” aspects although they are important. Wine has been celebrated in some of the greatest masterpieces of classical music: in Mozart’s ” Don Giovanni”, in Mahler’s “Das Lied von der Erde” (The song of the Earth), in Verdi’s “Traviata”etc. Nowadays there are many festivals worldwide in which we have together music and wine. Even more- many wine producers are promoting events in which music is being performed in the winery’s cellar or tasting room. There are even producers who are musicians themselves, in a confirmation of the deep connection between these two forms of art. 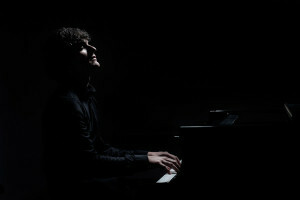 An example of this is also Andrea Azzolini (www.andreaazzolini.com), young pianist with international experience, co-owner of Neragora Organic Wine Estate. Would you accept a recommendation for a special sensorial experience? Try to listen to the ” Appasionata” sonata by Beethhoven in interpretation by Andrea Azzolini while drinking a glass of Mavrud Neragora.